Ramadan has begun today, and Google is using its massive spread of technology to make it easier for those who are fasting. The technology giant has launched My Ramadan Companion, a service that integrates into Google Now – except that it is specifically tailored to provide information about the fasting month. My Ramadan Companion provides muslims with information about sunrise and sunset based on their geographical location, and will even use Google Now alerts to wake people up in time for Sahur. The service will not only display traffic information from Google Maps so that users will be able to plan your trip home, but also include details for those who want to navigate to the closest charity Iftar or halal restaurant. The service will recommend recipes suitable for Iftar, and also suggest useful apps for the holy month of Ramadan. Of course, there will also be entertainment suggestions as well. Google’s My Ramadan Companion will recommend Youtube content; although at the moment, it appears to be filled with Middle Eastern videos – which is great for people who are able to understand Arabic and not so good for anyone who doesn’t. It is understood that Google is working to localise the recommend content, which means that it will feature more Malaysian specific information soon. 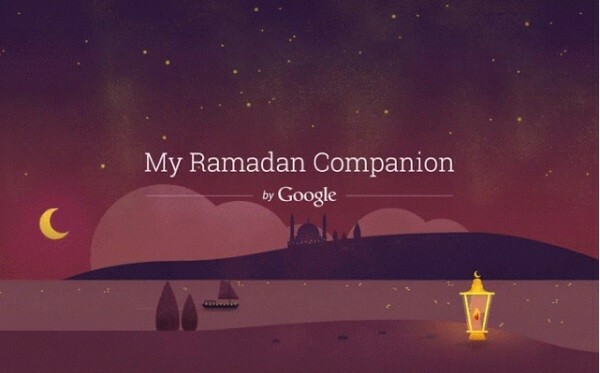 Update: Google Malaysia has launched the local version of My Ramadan Companion. Called Teman Ramadan Saya, it can be accessed by setting the My Ramadan Companion language to Bahasa Melayu, and features more localised content for Malaysians. There are directions to the nearest mosques for Terawih prayers, as well as listings for Ramadan Bazaars. However, the local version will not have the Sahur alert option due to the fact that Google Malaysia does not track user’s religions and is unable to push out the alert to the right people.